For the last six years I have been using WordPress. This CMS is definitely off the charts when it comes to being user-friendly. You in no time get the hang of the whole thing. However concerning the security matter, it sometimes really disappoints you as it has a lot of security loopholes. At present WordPress is not yet another CMS. You cannot ignore it. As a matter of fact there are not many choices. Now-a-days WordPress is something that almost borders on being the synonym of Web Design. If you want to get a glimpse of the power of WordPress fully, just try to make a powerful dynamic website with WordPress and you yourself will appreciate it when you find how smooth it is to set up a powerful dynamic website with the help of of WordPress. In short, you cannot get along without WordPress. But at the same time, as far as security is concerned, WordPress leaves a lot to be desired. Quite contrary to its other features, its security system is very backward. And it’s just a matter of time before an unprotected site catches a hacker’s eye. Several thousands websites get hacked every year due to lack of proper security implement. WordPress or any other Open Source CMS such as Joomla, Drupal etc. all are undeniably vulnerable and if you have not made sure that your site is secure, not taken much care of your site’s security, your site is definitely doomed to be busted. Who knows the wicked ways of wily hackers? Every other day you get to hear that a vulnerability was detected in WordPress, Joomla had a flaw in its security. Actually the list of such vulnerabilities, flaws, security loopholes or whatever you call them is endless. So what do we do now? We have some articles in detail on how to make your WordPress hacking-free or how to get your WordPress rid of malware, once it is infected. Unfortunately the more developed CMS software are getting, the smarter the hackers are becoming. It’s like they (hackers) everyday are coming up with new techniques to exploit the CMS code. Having said about the security loopholes of WordPress, we would not deny that WordPress core developer team is very vigilant and watchful for any security glitch and as soon as they learn of any security issue, they fix it at the earliest. But what about those numerous plugins and themes which are developed by freelance developers all over the world. Many themes and plugins are not properly maintained especially free plugins. Free plugins are hardly managed on a regular basis. These vulnerable themes and plugins are like informers which invite hackers, ‘’please, come and do whatever you want to do to the site’’. You are not thinking even in your wildest dreams that your website has anything to do with Viagra, and there your website is promoting Viagra all the time. Quite funny, but at the same time worrying. The dark side is there are limitless ways a hacker can harm your website. A page of your website can be redirected to a malicious website. Unbeknown to you, hackers can access your website files and database and can change it in such a way that you can never sense that some evil is lurking right under your nose. And when you sense it, it’s almost always too late. You are all freaked out. It’s all the more unnerving that you don’t know properly how to remove malware. You re-install WordPress and do everything you can do but sometimes malware is pig-headed and that’s because you are not able to locate the exact file with the help of which hacker is manipulating this all. If you say Yes for any of these question, you are in high need of a security plan for your website. Are you using WordPress or any other OpenSource CMS? Do you have may 3rd party plugin installed on your WordPress? Have you kept user registration open on your website? Are you aware that Open Source CMSs are highly security vulnerable? Do you know that millions of websites are hacked every year due to smart hacking techniques? Cloudproxy Firewall – Scans all inbound traffic and prevent hackers to exploit your CMS. 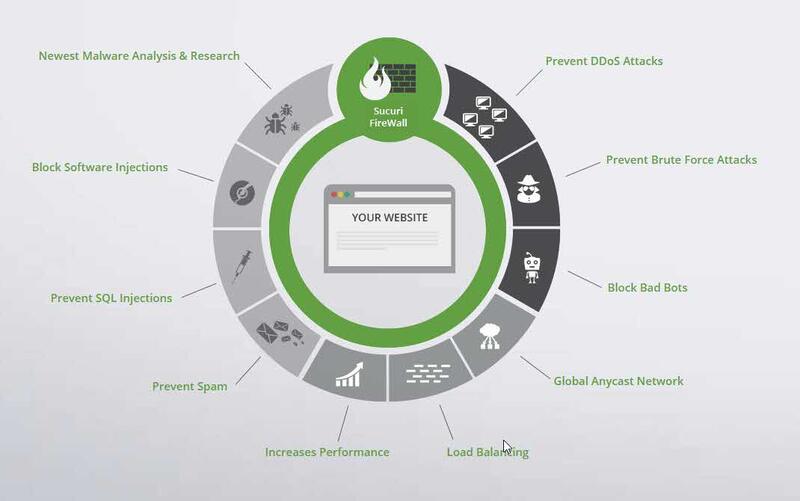 Firewall also speedup your website with CDN and caching system. Malware scanner and removal service – If your website is already infected, and your site is in non-recoverable condition at your own level, Sucuri experts cleans the infection from your website. Malware scanner scans your website at regular basis and notify you whenever it finds any trace of malware. 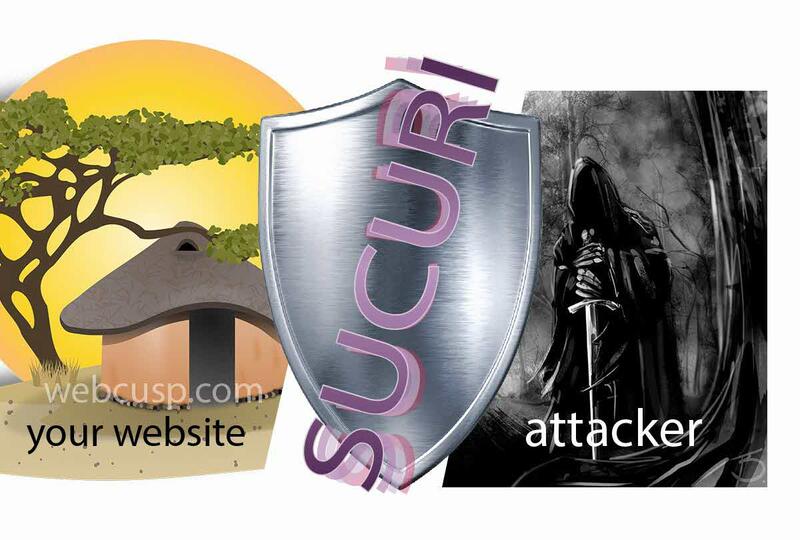 Sucuri creates a shield between incoming traffic and your web hosting server. It intensively scans traffic for threats and never allows a hacker to access your server. And this way you can get a peaceful night’s sleep. Many a time hackers exploit PHP code and even developers learn of this only after a while. Such as XSS vulnerability. So many extremely popular WordPress plugins were infiltrated through this code exploitation which was later dubbed as XSS vulnerability. Even the big names like Yoast SEO and Revolution slider could not hold the breach at bay, let alone others. And by the time the issue was fixed, a great many WordPress installs were infected. SQL Injection is a kind of code injection technique which can be used to steal the information from the database of the database-driven websites. In other words, if a WordPress theme or plugin (or Joomla addons and templates) have SQL injection vulnerability, an attacker can exploit this vulnerability to retrieve the information which is saved in database. Denial-of-service attack is one of the most horrible attacks on a web server that renders your website crippled and jammed and the site cannot be accessed by anybody when under attack. What happens here is that the attacker produces virtual load on your server and consumes all CPU resources which makes your website entirely inaccessible. Spam bots usually don’t infect a website but create unwanted spam content like spam user registrations, comments and pingbacks. Additionally spam-bots generate unnecessary and useless traffic on your website and thus affect your server performance. Sometime spam-bots creates so much traffic that your hosting account may consume excessive CPU resources and are pretty unaware what is actually causing the CPU load. When hackers try to exploit passwords and other sensitive encrypted data using automatic login attempts with excessive combination of legal characters. Hackers can easily steal weak passwords if your site is not guarded against Brute Force cracking. Apart all that Sucuri makes your website times faster utilizing its content delivery network and caching system and cutting traffic generated by spam-bots. We have been using Sucuri firewall for one month and results are outstanding. Sucuri has been blocked thousands of threats from accessing our web hosting server. Bonus – Cloudproxy Firewall comes with a backup hosting IP slot. You can define a secondary server IP (where you can store your site copy). Whenever your site is down (primary hosting is down), Cloudproxy will redirect your domain to backup IP. Backup IP is optional and depends on you how sensitive you are in regards to your site uptime.